1. Apply Online 2. Receive Approval 3 Choose your car 4. Drive away! Great customer service, went the extra mile to ensure everything was set up and ready to go. Even threw in some free car mats for good measureðŸ‘ fully recommend. 10/10. Absolutely love my new car and the wonderful service we had from Lee at Pine Lodge Cars. Lee was extremely knowledgeable and helpful. A pleasure to do business with. Would definitely recommend to anyone. Very happy with service, love my new car, thank you. Very professional service provided by Lee, Matty and the team. I would highly recommend to anyone looking to purchase a car to visit Pine Lodge Cars. went today to look at a car and to my surprise my partner drove away in his new car.. massive thank you to matty and lee who helped us sort all documents out. Will vertically recommend you in the future..
My partner bought a car from here today, absolutely first class, drove away in our new car within the hour, very friendly an helpful people, highly recommended for anybody looking for a new car. Helpful, friendly and fab service! we needed a car pretty quick and all paperwork and mot and service done and drove away our car next day! could not fault at all! great service from pine lodge cars again. would recommend. after care is second to none. I would highly recommend this place as they were brilliant with helping us sort out a car and all the paper work for us very quickly as we needed one asap. all the staff were very friendly and very helpful. Travelled all the way from Anglesey, north Wales and I wasn't disappointed! The car was well detailed on the advert and very accurate. Car was immaculate and was very impressed with the service! Will definitely not hesitate to use in the future to purchase another car from here. Thanks again, im in love with the Seat Leon! great service, welcoming staff, nothing to much. I would definitely recommend pine lodge. Just brought a car from lee at pine lodge motors!absolutely fantastic service, nothing was too much trouble and very accommodating!extremely happy with our new car! 5 star all the way with Pine Lodge. Nothing is too much trouble for these guys. Also no salesman hanging around your neck whilst you are looking at a car. But they are on hand if you have any questions. Again top marks all the way would definitely recommend to anyone thanks. Recently purchased a car from here, great service very professional and really, Dealt with Matty, pleased with car. Well what can I say? Fantastic service I really couldnâ€™t ask for anything more. I purchased a car purely by just looking at the pictures, the car was delivered to my home address as I didnâ€™t have transport to get to the garage. Staff were amazing. The car was exactly how it looked in the pictures. My Husband was very impressed and absolutely loves his new set of wheels ðŸ˜ðŸ˜. Thank you so much and we definitely be purchasing from you again. Both Lee and Matt are really polite and helpful. Any issues I had were sorted. Having dreaded the car buying process I couldnâ€™t be happier with the service we have received from pine lodge cars. Having visited a number of garages and been confronted by the classic car Salesman, it was a relief to not get that here. Having booked to view a car, we turned up and were given the keys to test drive. No pressure to talk about money, or sell us anything else! All was well and we decided to purchase. We requested a couple of small things to be done prior to the purchase and none of these were an issue. Communication was good throughout the week before collection and they tried their best to sort out our personalised number plate. I would like to thank Lee for taking the stress out of buying a car!! Brilliant service, couldnâ€™t do more to help! Very well priced and looked after cars, only the best! Pleasure dealing with you! Very professional! Very helpful with every question I had when searching for my car I would highly recommend to everyone! 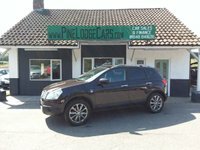 Highly recommended Pine Lodge Cars after buying our new car today. Excellent no pressure service and gave us a great deal. Thank you again. Pine Lodge Cars you have restored my faith in car sales people! 5* - Really helpful with the sale of my car, quick and friendly service! All top lads and will definitely use them again! Thank you so much with all you did with me buying my new car. Very professional, friendly service. From start to finish I felt very satisfied with the whole process. Highly recommend Lea and his team. Thank you! Excellent service really happy with the car, wouldnâ€™t buy any cars from anywhere else in the future. Very polite and considerate.A nice relaxed visit.without pressure. Thanks to Lee and the team at Pine Lodge cars, a fantastic and efficient service with no high pressure sales. They took our old car in as part exchange and gave a good price and we love our new car, it was exactly what we wanted and had been looking for. They are honest genuine people and it was a pleasure dealing with them, would highly recommend. We have over 100 quality used vehicles in stock. If you can't find what you're looking for in our current stock, we can source your desired vehicle. A FREE 3 month warranty with all cars sold. Plus, up to 2 years extendable cover available.